Ride the "mantrip" with a 1947 electric "trammer". 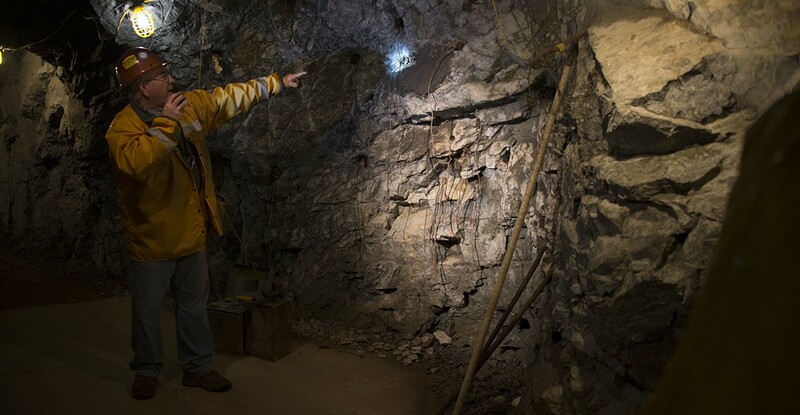 This large room was the base of operations in the mine. Follow the "drift" along the Neigold quartz vein. Demonstrating the 1930s Ingersoll "Lyne" drill. 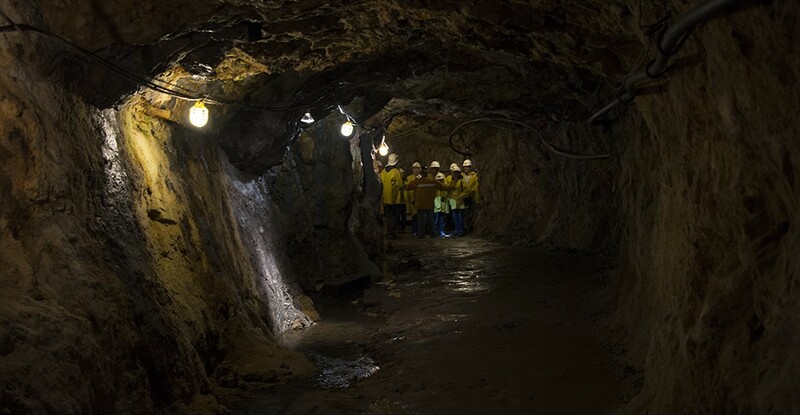 Learn how the miners used dynamite to blast the solid volcanic rock. 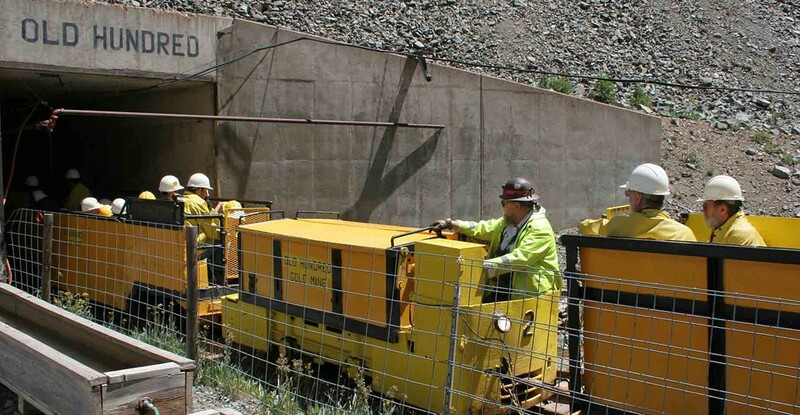 See a compressed air powered "mucking machine" used to load ore cars. 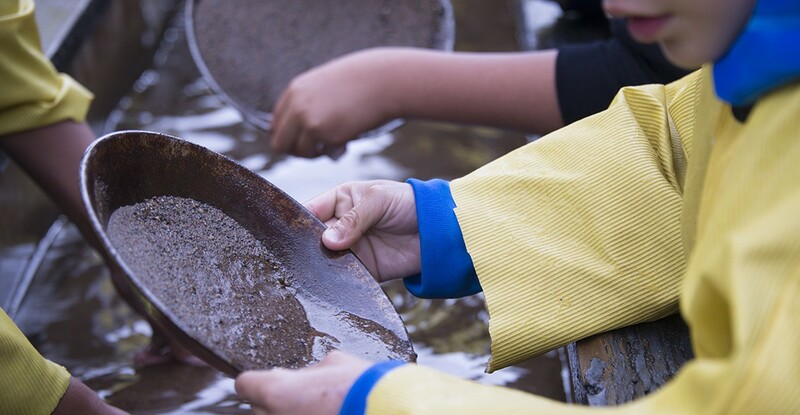 Try your luck panning in the Old Hundred's sluice box! Keep a close eye on the sand in your pan! Always something to find; including copper, silver and gold! 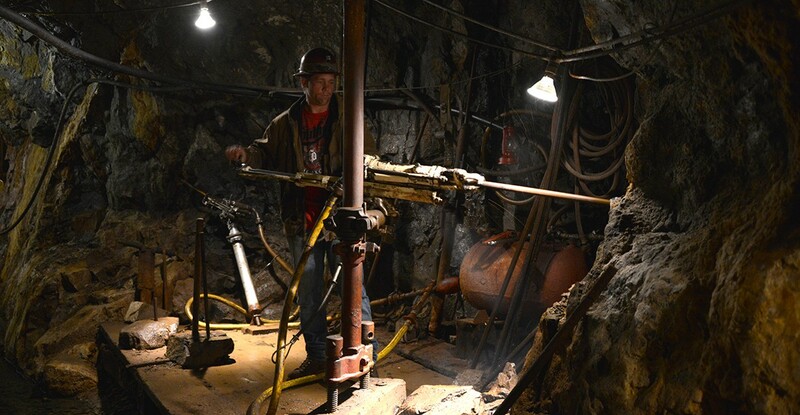 Located just minutes from the historic town of Silverton, the Mine Tour is easily accessible by car and RV. If you are riding the narrow gauge train, check out the Train Connection Shuttle. 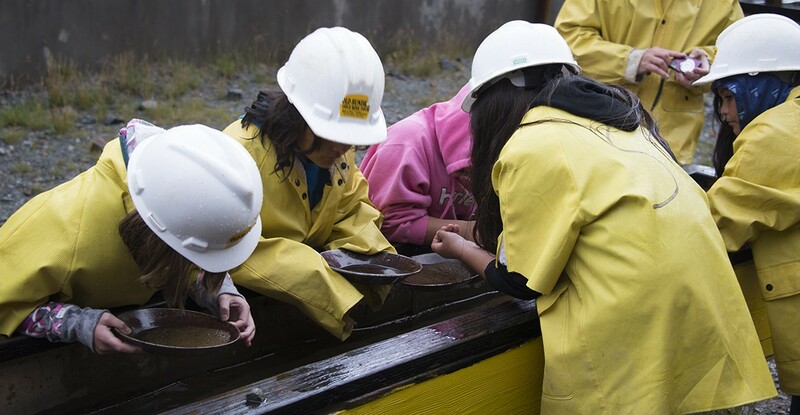 Outside, at the Gold Mine Tour, the spectacular scenery is awesome and at the end of the rainbow might be your Pot O' Gold - in the Old Hundred sluice box! 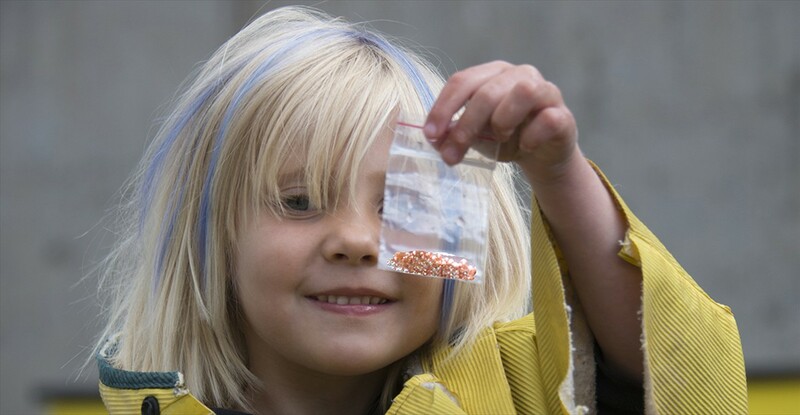 Pan for real silver, copper, and even gold - and keep what you find! Best of all, panning is FREE with your ticket purchase! 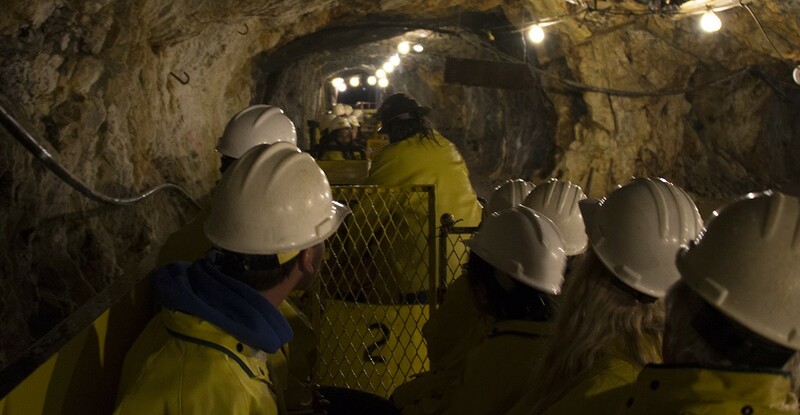 So stop on by and explore the underground at the Old Hundred Gold Mine Tour. No reservations are needed. 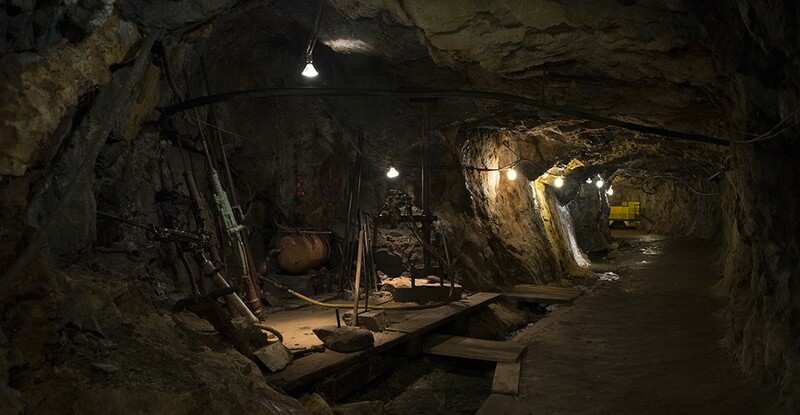 Ride a vintage electric powered mine train in an authentic miner's "man-trip" car once used at the famous Camp Bird Gold Mine. 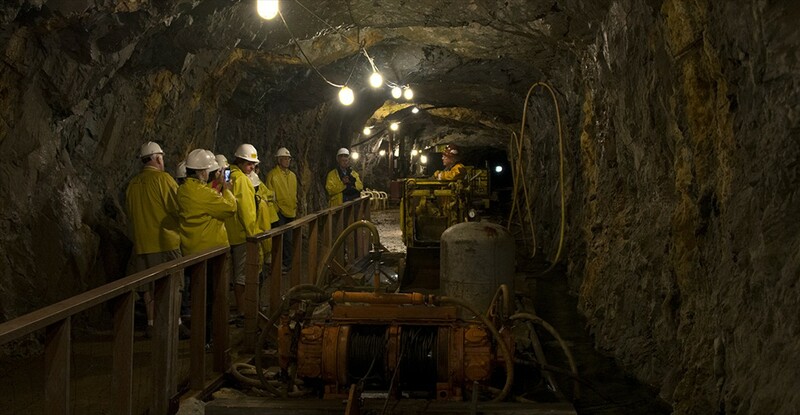 Watch mining equipment demonstrations the way it was done with air powered drills, slusher, and mucking machines dating as far back as the 1930's.